The Madison Animal Rescue Foundation (MARF) is a non-profit 501C3 foundation that saves animals from Madison Animal Control, City of Madison, Alabama. 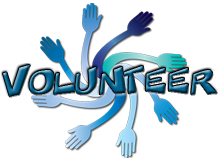 MARF was founded and is run by volunteers. MARF is a strong advocate of responsible pet ownership which includes and is not limited to: monthly heartworm prevention, monthly flea/tick prevention, annual vaccinations, annual heartworm tests, microchip & registration, and spay/neuter of all current pets living with the person/persons applying to adopt a pet from Madison Animal Rescue Foundation. To Rescue as many homeless animals from the City of Madison, Alabama as possible. MARF strives to promote a positive public image for the City and is a strong advocate of responsible pet ownership which includes and is not limited to: monthly heart worm prevention, monthly flea/tick prevention, annual vaccinations, annual heartworm tests, spay neuter and microchipping of all pets. MARF microchips and registers all of our animals as a proactive measure to ensure that any MARF animal that is lost is reunited with their owner. MARF was founded in 2008 for one purpose: To save the Animals of the City of Madison. At the time, the city had a 98% euthanasia rate. This means basically any animal not claimed was euthanized after 7 days. MARF has single handedly reduced that rate to virtually zero! The City of Madison now boasts they are "no kill" due to the tireless efforts of our volunteers and fosters! We started as a small group who paid the vet bills out of our own pockets for every animal that came into the shelter and we pulled to save. We have grown to save over 6,000 animals, not only from Madison Animal Control, but also the lost, abandoned or surrendered pets in Madison and surrounding counties. We rescue not only from Madison County but also Decatur, Athens and other nearby community shelters. Our amazing donors and volunteers who constantly have fundraisers have allowed us to spend over $150,000 a year in vet bills to save these animals. We may not have the highest numbers compared to other rescues, but we strive to ensure every one of our precious pets go to the best home. We require applications and vet checks. We want our animals to be a part of your family and be the best fit for them and you! When it doesn’t work out we do all in our power to help the adopter, offer advice, help and often pay for training. In addition MARF often helps those who love their pets but are on hard times by assisting with vetting, food or medicine as our budget allows. We initiated a spay/neuter program for the city of Madison at our own expense. We aren’t perfect, but we strive to be as close to perfect as possible when it comes to saving animals and doing our utmost to ensure they are cared for and go to the best home possible.